A new name and a switch to WordPress for me! Ivy Pottery & Crafts is now Crooked Creek Studio! My favorite post this week is about my sisters. They mean the world to me and I just wanted to show them off to the world! I wrote about something that, I think, most people wouldn't admit to on their own (for fear of people thinking they were crazy), but once I wrote about it, 30+ people chimed in and said that they, too, had experienced that "common crazy"! This week I go on my mini-rant on Granite Tile Counters... created a GREAT discussion. Monday's shared our walk/hike through the weeks bay estuary area and my meal plan for the week. 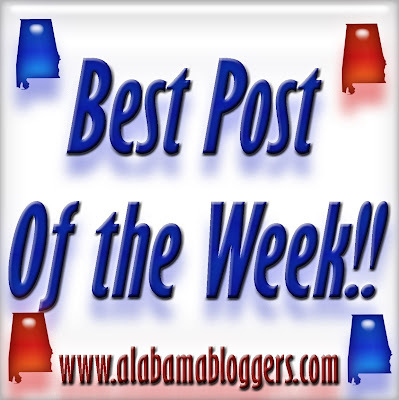 Can't say I really have a "best" post but I think the blog I reference is fun to follow. This post is truly a fantastic assist if you ask me! Regards! For Magic City Post, photos from our first tweetup this week. See what you missed! Credit worthiness regarding usually a notable content! Which usually solved the problem part! In order to tolerate glance professional such a posting smart a pokey period, gratitude a new instances. We launched our new family food blog (www.necessarypleasures.blogspot.com) two weeks ago and are having a blast! The kids are cooking more, writing more, and loving watch the site grow. The page views from Australia and Russia made it "really real" for them. I thought we'd share the most viewed page from the last week -- about our new venture into worm farming! Not really anything spectacular, but hoping seamstress/sewers enjoy my sewing tips!